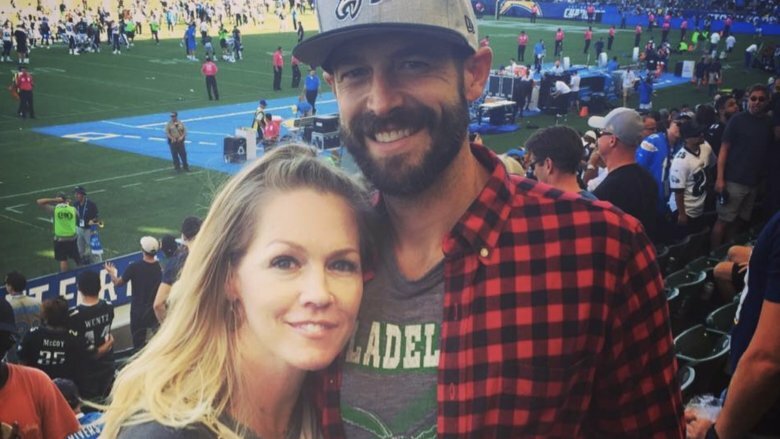 Is Jennie Garth's marriage to Dave Abrams in trouble? The Beverly Hills, 90210 star could be heading for divorce. Us Weekly reports that Jennie Garth is spending some time apart from her husband, Dave Abrams. However, the two have not ended their relationship—they're simply stepping back as they attempt to better their marriage. An insider told the magazine that the two "are still trying to make it work, but they haven't been living together." The source added, "They love each other, but like every marriage, it takes work. Jennie is taking the time to focus on her girls and herself." Garth, 45, and Abrams, 36, have been married since July 2015. Before their romance, Garth was previously married to actor Peter Facinelli, from whom she split in March 2012 after 11 years. Garth and Facinelli share three daughters together, Luca, 20, Lola, 14, and Fiona, 11. While we wait for an update on Garth's marriage, read all about the dark secrets the cast of Beverly Hills, 90210 tried to hide.